Barça have the chance to extend their incredible unbeaten run in La Liga this Saturday at 8.45pm CET when they visit La Rosaleda, home of Málaga. Following the 1-0 defeat of Atlético Madrid, the Catalans are now a massive eight points clear at the top of the table. But although the Andalusians are the bottom ranked team in the competition, with just 13 points to their name and winless in their last 12 matches, they were the last team to record a league victory against FCB, a 2-0 win in week 31 of last year’s edition. 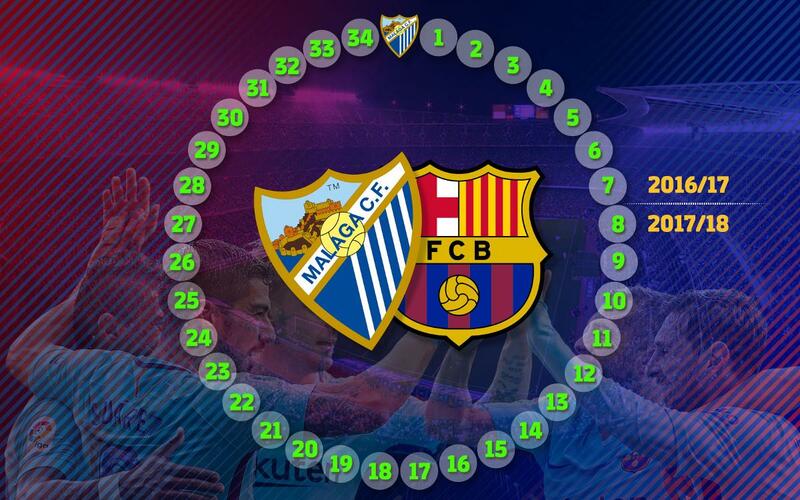 34 games have gone by since then, in which Barça have been closing in on Real Sociedad’s tournament record of 38 games without defeat from 1978/79 to 1979/80. The game presents a particular challenge for Luis Suárez, for he’ll be facing the only first division side against which he has yet to score. They are very much the Uruguayan’s bogey team, for in five previous meetings he has yet to hit the target against them.